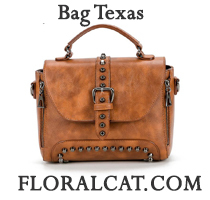 I can’t wait to get it made. Thanks for sharing the pattern! This will be my first project like this. Should I use 1 long wire for the whole bracelet or does each step require a separate piece of wire?? Thanks in advance. 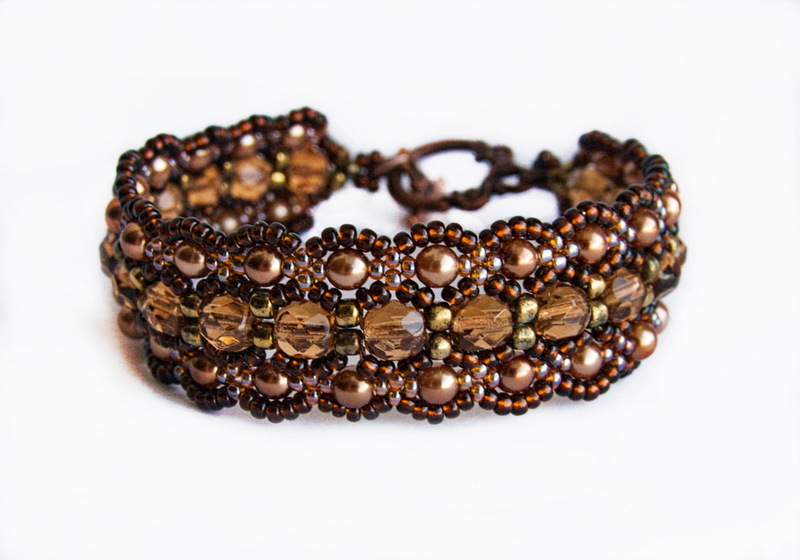 Hi, I’m making this bracelet but I’m confused on what beads are used where. what size bead are in between the 6 mm beads. What size bead is in between the 4mm pearls. Are the dark brown seed beads the 8/0 or the 11/0. Thanks if you can help me figure it out. Use thread, such as Fireline, nymo, silamide, or other nylon thread, not wire. Cut about 2 arm lengths to start, since you will be working both ends. You may need to add more, but this will get you through most of the design. 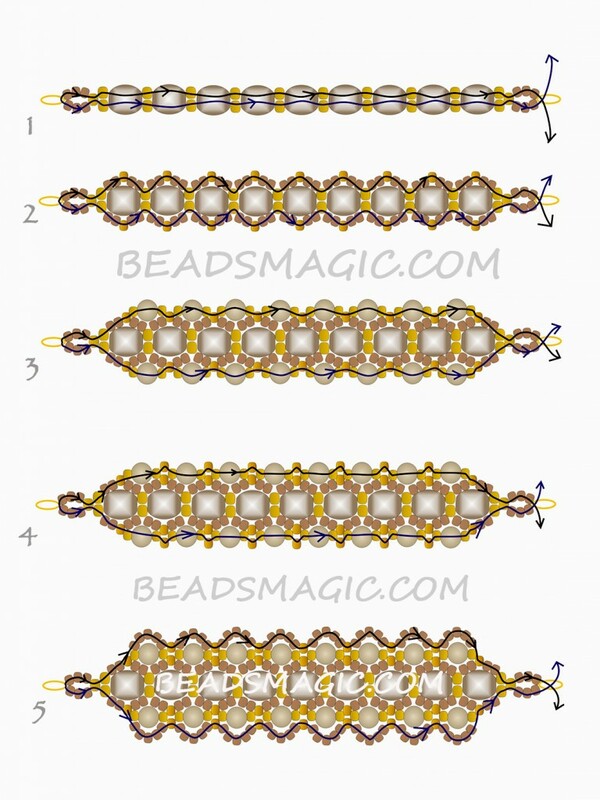 Look carefully at the diagram to determine which size seed bead to use – size 11 is brown and size 8 is gold. I did it! It came out gorgeous. I also made it in peach and it looks beautiful. Thanks for the pattern. I’m looking forward to more like this. 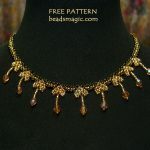 I will try this with summer colors – and I would love -sometimes- to see really advanced patterns. Maybe in 3 or 4 parts . 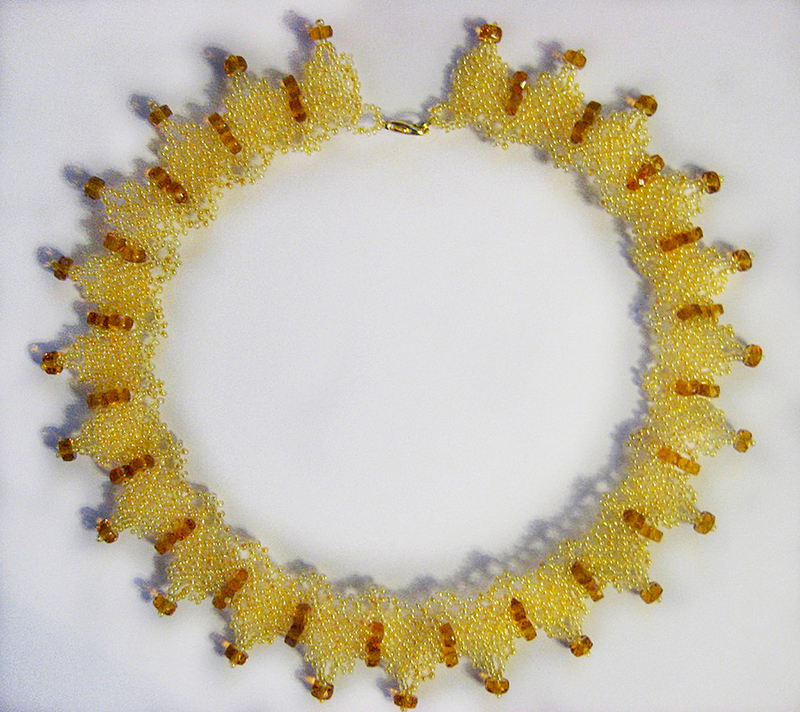 Hi, Could anyone tell me where each size beads go in this pattern. there is no instructions as to what size bead goes where in the bracelet. Please tell me how it is finished? I am not sure how it closes. You would just use whatever clasp you want, i.e. Lobster claw, magnetic, etc. Hello! Love this pattern. 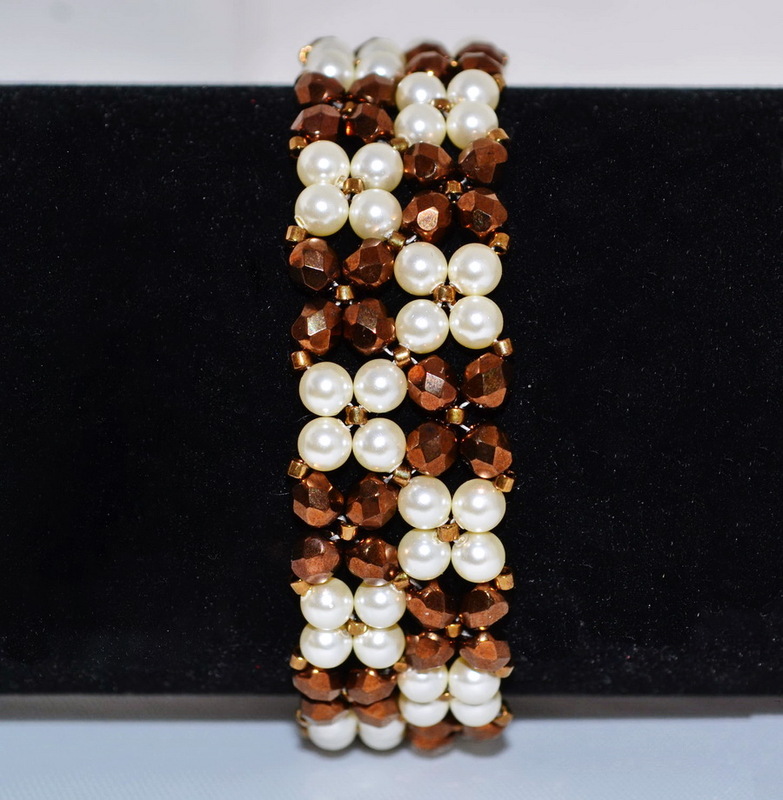 Looking at your photo, it almost appears that the seed beads between the pearls are a lighter color brown. Is that the case or is it just the lighting?